Experts say the 'to-do' list for the next boss could include dealing with Frank (Franky Boy) Cali’s killer. Anthony Comello, 24, shot him for a motive that remains unclear. A possible successor to Cali is Lorenzo Mannino, a Gambino capo and member of the family’s Sicilian faction. 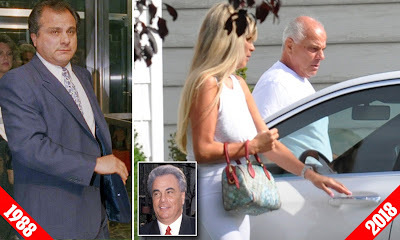 Other names include Gene Gotti, the brother of John who was recently released from prison after doing 29 years on drug charges.